Fun Fact: For two years, I spent my weekends working at a winery in Northern Virginia. I conducted tastings and was known as the foodie to seek out when looking for a wine pairing. As Manager of advisor training and research, Adria is responsible for specialized financial and tax planning research, advisor training programs, developing and implementing integrated financial planning standards, and evaluating financial planning software and tools to improve the client experience at Hamilton Capital. A CERTIFIED FINANCIAL PLANNER™ professional, Adria previously served as a financial advisor in the Washington, D.C., metro area. Recognizing the complexities of Social Security and the critical role it often plays in someone’s retirement, Adria became a National Social Security Advisor Certificate Holder. She is a subject matter expert on Social Security planning for the firm’s financial planning team and all of its clients. Adria is passionate about educating and training financial advisors, and believes this is how she can have the greatest impact on the financial services industry. This also drives her to help others outside of her professional duties at Hamilton Capital, serving as the Director of Programs & Education for the Central Ohio Chapter of the Financial Planning Association. Adria is passionate about educating and training financial advisors, and believes this is how she can have the greatest impact on the financial services industry. This also drives her to help others outside of her professional duties at Hamilton Capital, serving as the President-elect for the Central Ohio Chapter of the Financial Planning Association. 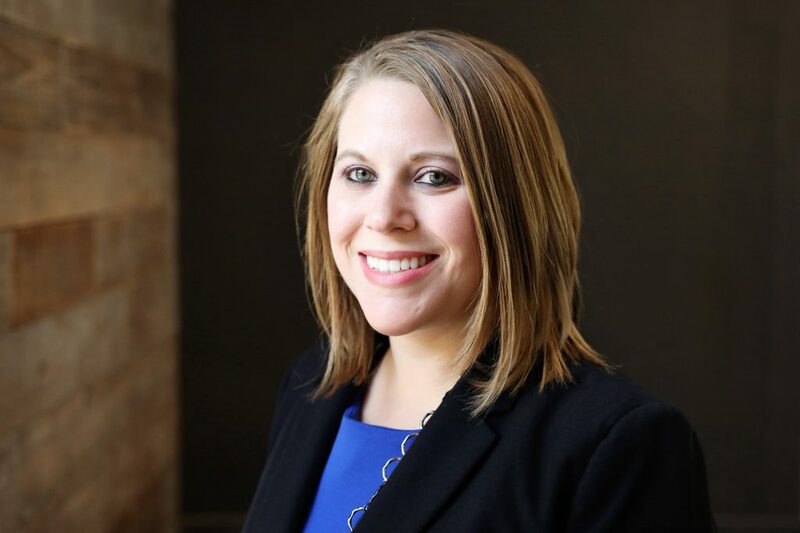 A Defiance College graduate, Adria holds a bachelor’s degree in finance and management, with a minor in economics, as well as a Certificate of Financial Planning from Georgetown University. Adria is a self-professed “foodie” and wine lover, and enjoys running and traveling. She has a commitment to helping others – serving as a team leader for Habitat for Humanity, and is a frequent donor to Locks of Love. I grew up in small town Ohio. The kind of town where people worked hard, saved and were dedicated to their employers. They worked at the same company for 20, 30 or even 40 years; saved into their 401(k); bought the company stock; and expected to retire with the peace of mind of a pension and health insurance for the rest of their lives. These folks had skin in the game. They made the best decisions they could with the information they had available to them. And then things changed… stock prices fell and companies cut pension and medical benefits for future and current retirees. Suddenly, their life was turned upside down and this ultimately led me to my path as a financial planner––knowing that I wanted to help people secure their future, no matter what life throws at them.